Central Systems For Combustible Dust | Latta Equipment Inc.
One of the greatest hazards in high-dust environment is the risk of an explosion. There are many materials, when in particulate form, may combust when exposed to an ignition source. Obviously, prompt removal of dust is critical to safety, which is why an industrial central vacuum system is an essential investment. The systems we provide have an exceptional build quality, and are made in the U.S. They have a range of innovative features that result in excellent performance and convenient easy of use. Our selection of explosion proof vacuum cleaners are all certified to ISO9001 as well as benefiting from compression cast composite housing for extra durability and a Microclean filter that can catch particles right down to 5microns at 99.9% efficiency. We understand that each customer has slightly different requirements, which is why we offer a tailored service that’s geared to individual needs. Our skilled, experienced and helpful team can advise on the best option for your enterprise, or we can design a system that’s based around achieving your outcomes. 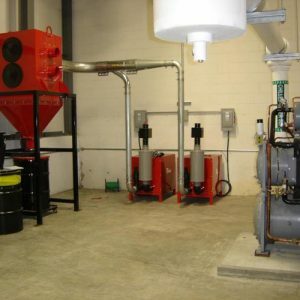 We can also install your vacuum system, and ensure it works as effectively as possible. Price matters to our customers, which is why we do everything we can to keep costs low without compromising the quality of your system. 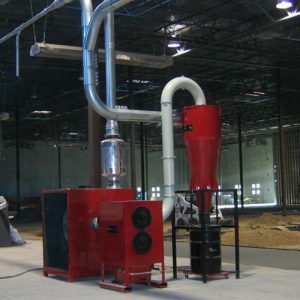 No matter what type of dust vacuum system you’re looking for, we can help. To learn more, or if you have questions, call us at (704) 752-7944.